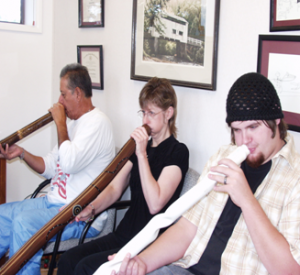 The Didigeridoo Club meets the 1st, 2nd, and 4th Thursday of each month at 3:30. It’s a great activity for sleep apnea and respiratory impaired individuals. Exercise and socialize at the same time!